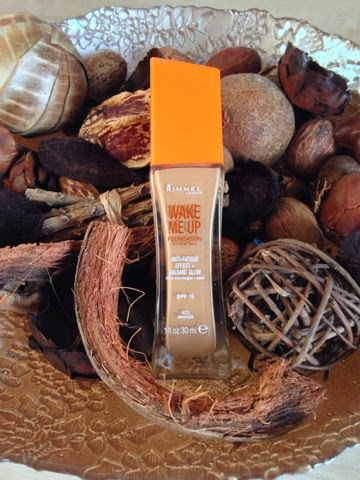 The Rimmel wake me up foundation is one of my recent purchases. I bought mine from fragrance direct but you can of course pick it up from any highstreet beauty store. As I bought it online I didn't really know which colour would be my perfect match. I already knew the natural beige was near to my colour as I have another foundation from Rimmel in that shade. But I knew I needed something different, so the one I purchased is in Bronze. I've never actually seen this shade in store before, so I thought for £3.99 why not give it a go! The shade is pretty similar to my skin tone, but is slightly more pink toned than I'd like. Although after a while of it sitting on my skin it changes slightly more to my skin tone, but unfortunately I still need to mix it up. 'Light moisturising texture applies smoothly and leaves skin feeling soft and comfortable all day. Yes the foundation is light yet it still feels dewy so it doesn't cake up as much as other foundations. I would definitely agree with it being comfortable to wear, it feels so fresh like you've just cleansed your face. Although that feeling does go away within an hour of wearing it. 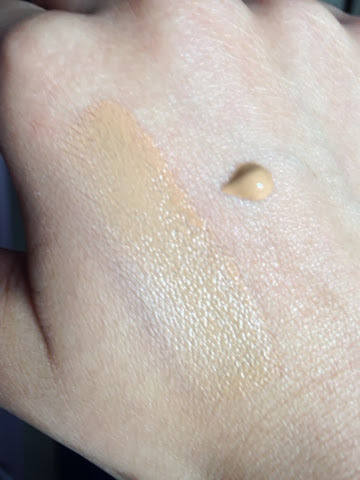 It's easy to blend and I would say it gives a light to medium coverage depending how much you build it up. Like most of the other Rimmel foundations, it smells so good, however some people don't like fragranced foundations so I would definitely recommend you try (and smell) this before you buy it. One of the down sides to this foundation is that in the sunlight you can see small specs of glitter, which I did not notice until I wore it the other day! They're very minute but it did put me off slightly. I guess that is why it is a radiant foundation. It's fairly long lasting, it covers up any redness throughout the day, but it does begin to wear off after about 6-8 hours and any major marks on your face are likely to show up. I would say a bit of pressed powder or setting spray will definitely keep it going for longer. The foundation retails for £8.99, but you can purchase the bronze shade from Fragrance Direct for £3.99. Have you tried this foundation? If so, let me know what your thoughts are on it.